Dr. Arroyo asks good questions, listens to the answers and then decides on a treatment plan. She is hard to get an appointment with but worth the wait. Terrific and staff and Dr. Arroyp were great. Found Dr. Arroyo very caring and professional. Clearly, Dr. Arroyo knows her stuff; only minor complaint is the feeling I had of being a processed number. But, I understand the processing when you're this good. Dr. Arroyo is one of the best in the business. I’m a long time client and would go nowhere else. Knowledgeable, quick, caring and efficient. Dr. Arroyo and her entire staff are fabulous!! Would never go anywhere else. Dr. Arroyo is a rare blend of warmth and professional efficiency. Dr. Arroyo was very friendly and helpful. So happy I went! Thank you! Dr. Arroyo is fantastic! Her knowledge, expertise and truly caring and listening to her patients is exemplary! Dr. Arroyo was kind, informative, thorough. 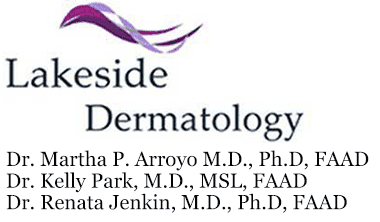 Dr Arroyo is friendly, professional & knowledgeable in her field. She & her assistants make people feel at ease during procedures. This was a follow up to a previous treatment and all was well. There was also a follow-up on some previous issues that this time needed treatment. All was well and the staff, including Dr. A, was great.